Harrisburg, PA – Penn FC (0-1-1) earned its first result of the season as the Harrisburg-club earned a scoreless draw against Pittsburgh Riverhounds SC (0-0-2) in the first match of the Keystone Derby, presented by K&L Gates and the Pennsylvania Lottery, of the 2018 season. Head Coach Raoul Voss thought his team did enough to earn a scoreless draw last week against Charleston Battery. This week his team achieved that result against the potent Pittsburgh attack. Penn FC earned the stalemate thanks to Romu Peiser’s heroic efforts in the goal. Peiser made four key saves against Riverhounds SC, and he earned Penn FC’s first Man of the Match award for his efforts. Peiser was tested early in the fifth minute. Pittsburgh quickly pressed Penn FC’s backline on the counter attack. Forward Romeo Parkes received the ball in the left side of the box. Peiser adjusted himself to cover the far side of the goal. Parkes tried to realign his shot to the near side of the goal but, instead, pushed his attempt wide. Ten minutes later, Peiser saved Jordan Dover’s shot with his fingertips. Dover’s shot was placed towards the top left-corner of the goal, but Peiser barely deflected it out of bounds for a Pittsburgh corner. Defenseman Joe Greenspan was in position for a header off the corner, but he did not have time to line up his attempt as Peiser charged towards him with his arm extended for the punchout. Greenspan’s attempt drifted wide right for a Penn FC goal kick. Pittsburgh’s final shot on goal in the first half was a rocket from the top of the box. Again, to Riverhounds SC’s chagrin, Peiser made a diving save to prevent the go-ahead goal. Peiser saved his best effort for last. Midfielder Ben Zemanski fired a shot from the top of the box in the 84th minute. Peiser dived, with his arms outstretched, and deflected the potential game-winner safely out of bounds. Pittsburgh’s subsequent corner was eventually cleared out of the danger area. Penn FC played a defensive-minded game to negate Pittsburgh’s high-flying offense. Forced to play without the ball for 60 percent of the possession, Penn FC played its backline high to catch Pittsburgh’s forwards offsides. The strategy worked eight times and frustrated Pittsburgh’s attempts to play long balls down the field. 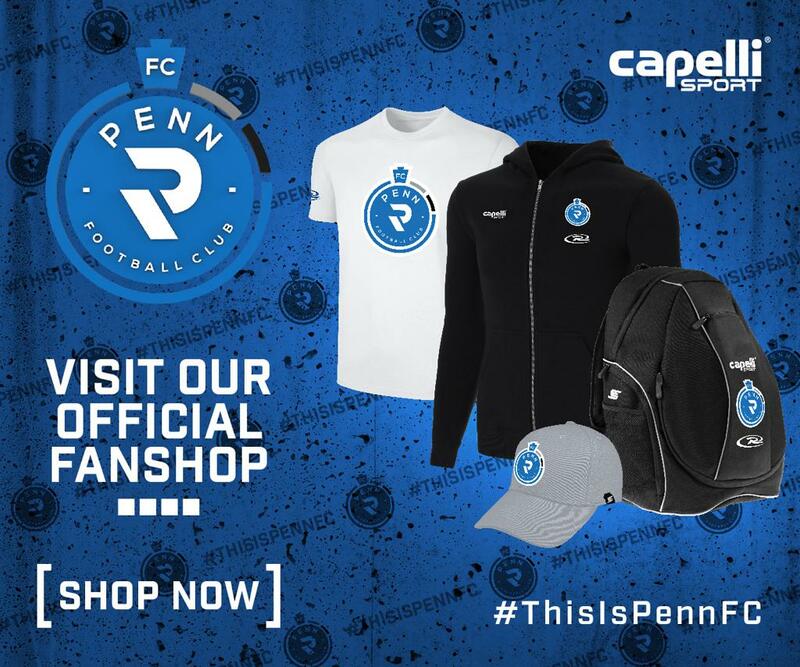 When Pittsburgh did break the defensive press, Penn FC’s trio of center backs, Ken Tribbett, Tiago Calvano and Jake Bond, headed off the dribbling players, or Peiser stepped up to end the attack. Penn FC’s offensive output improved from its game against Charleston. The team earned eight shots including four shots inside the box. Newly-minted signee, forward Tommy Heinemann, was active in his debut, and he played a full 90 minutes before subbing off in stoppage time. His 6-4 frame at the top of the attack required Pittsburgh’s constant attention. The emphasis placed on Heinemann allowed forward Lucky Mkosana to run all over the opposing half, and he continued his pressing play from last week. Mkosana intercepted an errant passback from the Pittsburgh midfield in the eighth minute. Mkosana dribbled up to the top of the box and fired a shot that had to be blocked by a Pittsburgh defender. Heinemann registered Penn FC’s first shot on target in the 2018 regular season. Heinemann received a pass in the air on a give-and-go play in the center of the field, and he fired off a volley that required the keeper’s attention. Now, with its first point of the season secured, Penn FC will look to build on the result. The team is in search of its first goal and first win of the season. After earning a clean sheet while making more dangerous plays on offense, the team is closer to earning those milestones. Penn FC’s next match is Sunday, April 8 at Atlanta United II (1-0-1). Kick-off against the MLS-affiliated team is scheduled for 7 p.m.